Scroll down to Explora to search. Need to find information about your director? Check out Biography in Context. Rotten Tomatoes is a great site that will help you locate reviews on your films. You should read several reviews to get an overall idea of what other people thought about your film. This is a great resource for your research paper. Internet Movie Database contains information on styles & trademarks of directors, as well as a comprehensive list of their movies. A wonderful site packed with information. The home page has some nice links, but do search the drop-down menus or search for a film or director by name to find great stuff. Lots of film information on this site. The American Film Institute is a good resource for "top" lists. Videomaker will give you information on film techniques. This amazing site contains in-depth interviews with sound and music people as well as breakdowns of sound features and sound design of many feature films. Filmsound.org Learning space dedicated to the Art of Film Sound Design. Writing about Film- this site will give you amazing tips on researching & writing about films. The youtube channel for filmskills.com has a few good introductory videos on basic film concepts and techniques. The website itself is subscription-based, but the ‘modules’ section does have 1 minute preview videos that give a nice intro to a concept. The timeline at the top of the Modules page breaks down the entire filmmaking process. It is a really cool visual representation of the parts of a film from idea to toy licensing and everything in between. 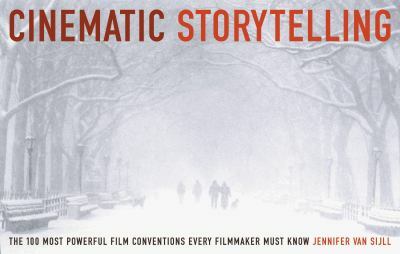 A web-based version of the book, Cinematic Storytelling, that is a great reference for the “hows” and whys” directors do what they do… an how they do it. The book is available in the library. Specific examples on technique and meaning are used in this book. I use several examples as clips as well. Designingsound.org is a resource dedicated tot he art and technique of sound design, with the aim of sharing information and knowledge for free. Great source for Sound/Sound Design/Score/Music. Can be difficult to navigate. Filmsound.org is a learning space dedicated to the art and analyses of film sound design. This handout discusses ways to approach film as a visual medium. It offers suggestions for focus, prewriting tips, and guidance on how to think critically about a medium many of us think of as popular entertainment. It does not include a comprehensive list of technical film terminology, although it does provide links to several sources that do. This handout deals with decoding film as a viewer, considering how the film appears rather than how it was made. A great site for reviews and lots of film information.